BUST: Measure around the fullest part of the bust, keeping your elbows tucked down toward your sides.WAIST: measure across smallest point. Bend to one side to find the natural crease of your waist. HIP: Stand with your feet together, measure around fullest part of your hips and rear Still in doubt? Please do not hesitate to contact us! New collection! 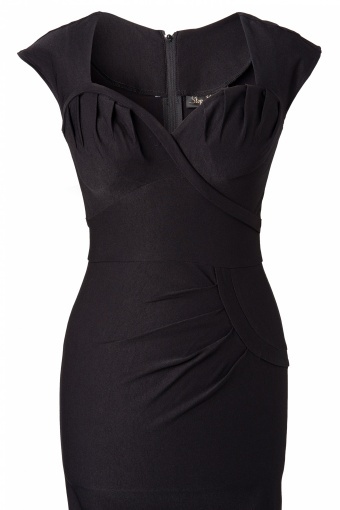 50s Crush wiggle dress black from Stop Staring! 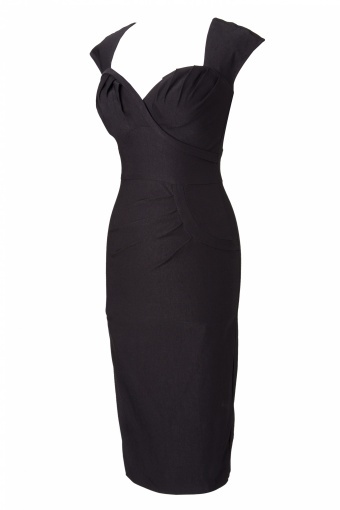 This little black dress with a touch of 50s elegancy is the perfect dress for all your night events. 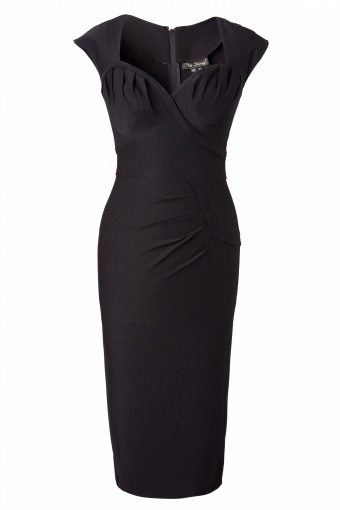 The dress features a sweetheart neckline pleating. 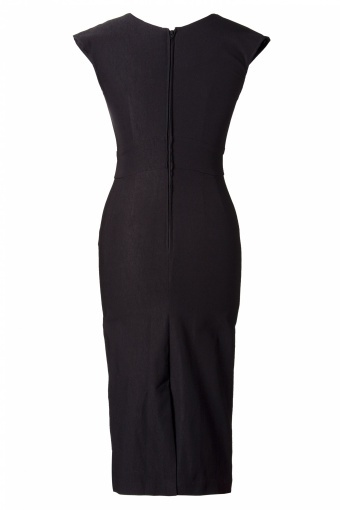 Fitted waistline features an illusion pocket lined. 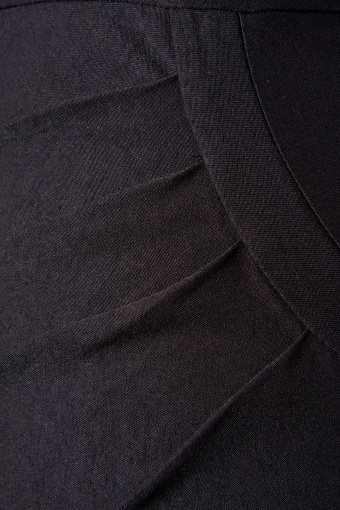 Pleating comes down from faux pocket, opening into a faux wrap skirt. Skirt ends at an always classy below the knee height. Definitely another great detailed design from Stop Staring! The fabric is millennium so it stretch’s and it is contrivable. Dress zips up the back. Below the knee height, just like they wore them in the classy era of the 1950s! Very Vintage, and yet so modern.